Best friends Flyin' Ryan & Gavin Reigns have earned their shot at the local Georgia Indie Tag Team Champions, Hot Like Lava. As always the brash heels make a boisterous entrance --but don't let their bravado deceive you, both Shawn Banks and Cru Jones of 'Lava' are highly skilled grapplers. Flyin' Ryan starts facing off with Shawn Banks and puts on a clinic, staying one step ahead of his larger and experienced opponent at every turn. A tag to Gavin is squandered as Shawn is able to outclass his slender foe, but when Shawn goes for a back body drop Gavin boots him up & nearly decapitates him with a clothesline! A well timed tag is made into Flyin' Ryan but Banks uses the referee as a shield; once his guard is down Shawn gives him a boot to the gut and takes control of the match. The heel team pours it on in classic heel style. They switch illegally, use double team moves, eye rakes and multiple chokes! A back suplex, seated abdominal stretch & banana split nearly put poor Ryan away for good. 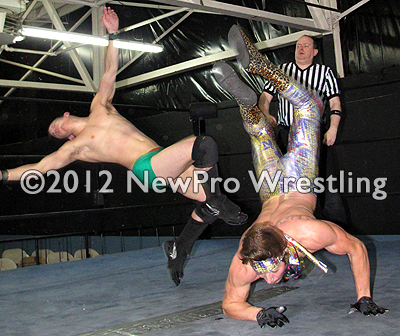 After a DOUBLE Russian leg sweep, Shawn Banks hits a picture perfect drop kick. Ryan and Gavin are not about to give up yet and the action picks up & the momentum swings back & forth. 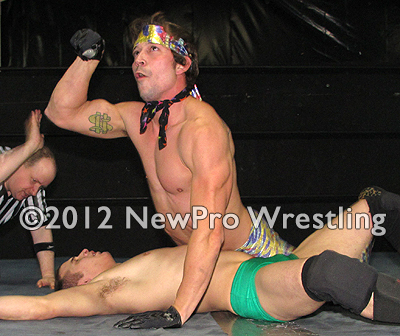 Eventually Cru Jones presses Gavin over his head and tosses him down into Shawn's diamond-cutter for a 3 count! The baby faces start to argue but manage to collect themselves in time for the start of fall 2. Cru finds himself on the wrong end of a headlock but crotches Gavin on the ropes to swing the momentum in his favor. Oof! Can the baby face team manage to mount a comeback and win the championships? 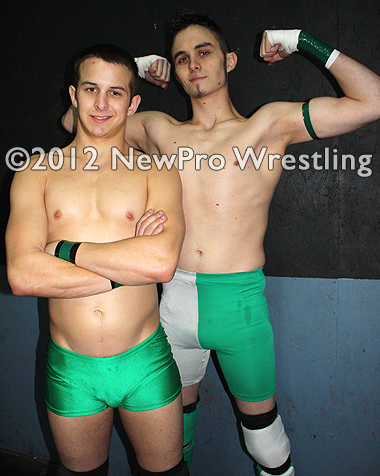 Or will the reigning champs make short work of talented contenders and future stars Ryan & Gavin?